What a great night for some magical announcements! 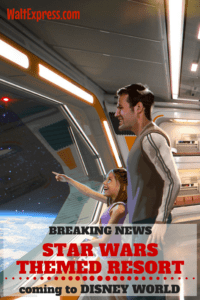 Walt Express is super excited to let you know about this HUGE Breaking News: Star Wars Themed Resort Coming To Disney World. While watching Disney Parks Blog Live presentation of the 2017 D23 Expo, we learned this “rumor” is in fact TRUE!! Coming soon to Walt Disney World in Orlando, FL. 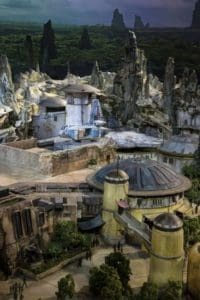 will be a new Star Wars themed resort! You will be completely immersed in the Star Wars story! 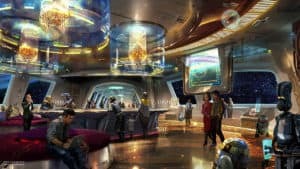 Bob Chapek, Chairman of Walt Disney Parks & Resorts, just confirmed that a Star Wars-inspired resort will debut as part of the new Disney 360 vacation concept. 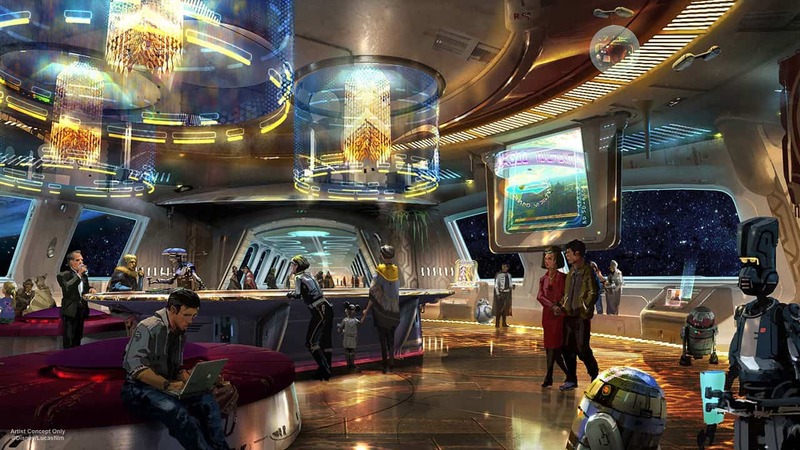 According to Bob, this revolutionary new vacation experience will be a living adventure that allows guests to immerse themselves in an entirely new form of Disney storytelling. 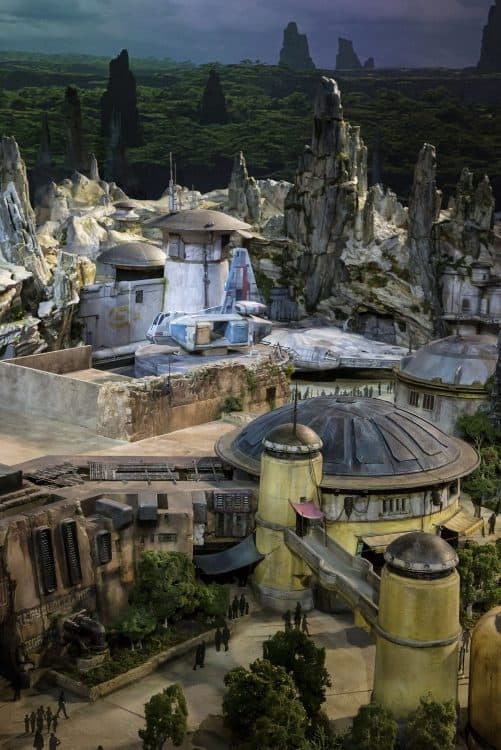 “The lands, both called Star Wars: Galaxy’s Edge, will allow guests to visit a remote trading port on the edge of wild space, where Star Wars characters and their stories come to life – and where guests will find themselves in the middle of the action. 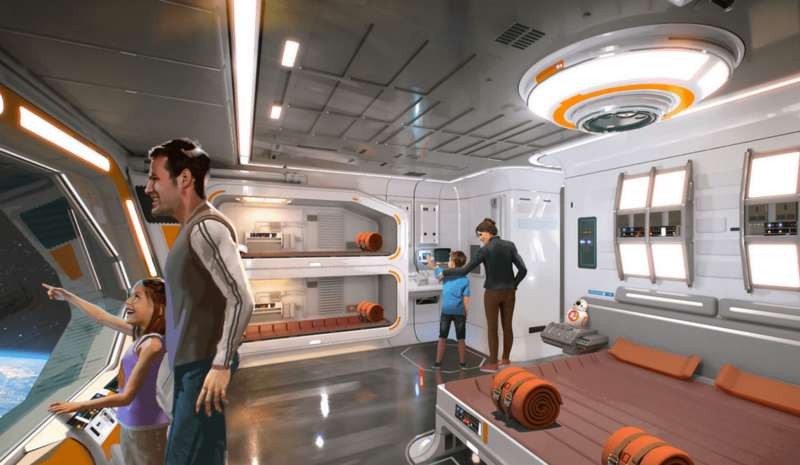 The second attraction will give guests the opportunity to fly the Millenium Falcon, piloting the ship, shooting blasters or preparing for hyperspace – all while completing a critical mission. But how you perform on the mission holds even bigger stakes: perform with skill and you may earn extra galactic credits, while bringing the ship back banged up could put you on the list of a bounty hunter. End up on Harkos’s list and you may face a problem if you show up at the local cantina! Stay tuned to Walt Express for all of the breaking news! Join us in our Facebook group, DISNEY EXPRESS LANE, for lots more Disney fun!